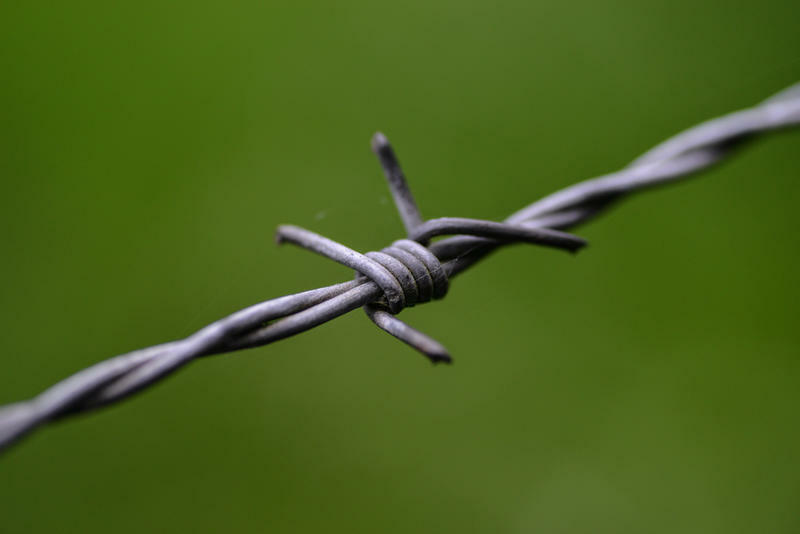 Nothing did more to change the way cattle ranching was done on America’s western frontier than the introduction of barbed wire. In fact, historians point to this single, humble invention as the catalyst that revolutionized beef agriculture and killed off the open range cowboy lifestyle. How could a thin piece of wire do all that? Most ranchers in the old west chose not to fence in their herds of cattle. Fencing was simply too costly. The only real option was wooden fencing, but wood was scarce on the American plains so it had to be brought in on railcars. It was also labor intensive to erect and was easily damaged by a herd of stampeding cows. Other wire fencing was occasionally used but it was ineffective at keeping the cattle in. A single cow could walk through the wire, breaking it. 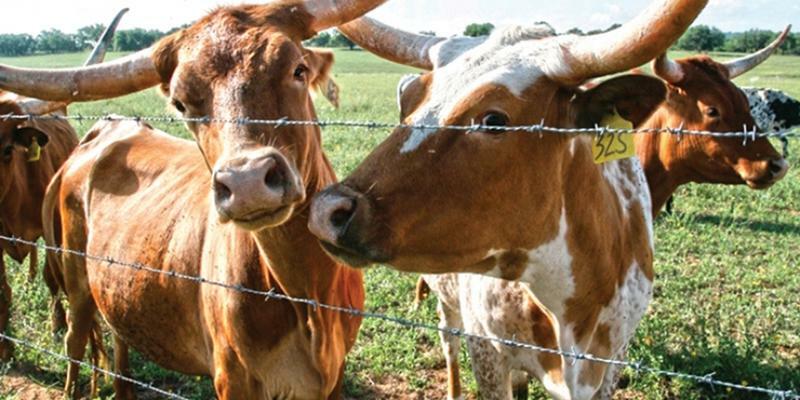 Ranchers gave up on fencing in their cattle and allowed them to free range. Joseph F. Glidden of Illinois received a patent on November 28, 1874 for what he described as a “new and valuable improvement in wire fences.” The double strand of wire was twisted in with shorter, spiked wire to create spurs. 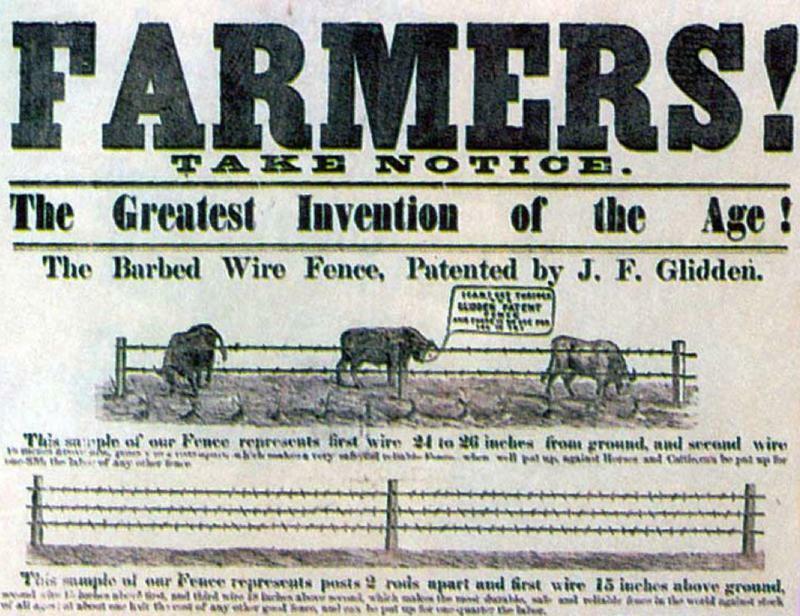 According to Glidden’s description on the patent application, the wire was designed to “preserve cattle from breaking through wire fences.” Soon, Glidden’s barbed was criss-crossing the west. So effective was barbed wire at keeping the animals contained that it allowed farmers to increase the size of their herds. Animals were not lost as often as they were on the open range when they were vulnerable to predators and cattle rustlers. Additionally, ranchers now had more control over the quality of food their cattle consumed, improving the meat. Prior to barbed wire fencing, a rancher didn’t need to own a lot of land. His herd could graze on public land or wherever else they wanted to roam. Sure, they occasionally ate a farmer’s wheat field but that couldn’t be helped. After the wide-scale use of barbed wire, however, wealthier ranchers who owned large plots of land fenced off their property. The small-time rancher had nowhere for his animals to graze and was forced out of business. Even getting the cattle to market became a challenge. Before, ranchers and cowboys could drive the herds across the countryside, unhindered, to the slaughterhouses. But with the open land fenced off with barbed wire, many smaller ranchers couldn’t even get their animals to market. The cowboys who once herded cattle across the plains now sought work as hired hands at large scale cattle ranches, effectively ending the cowboy lifestyle. Cattle ranching became a rich man’s endeavor. 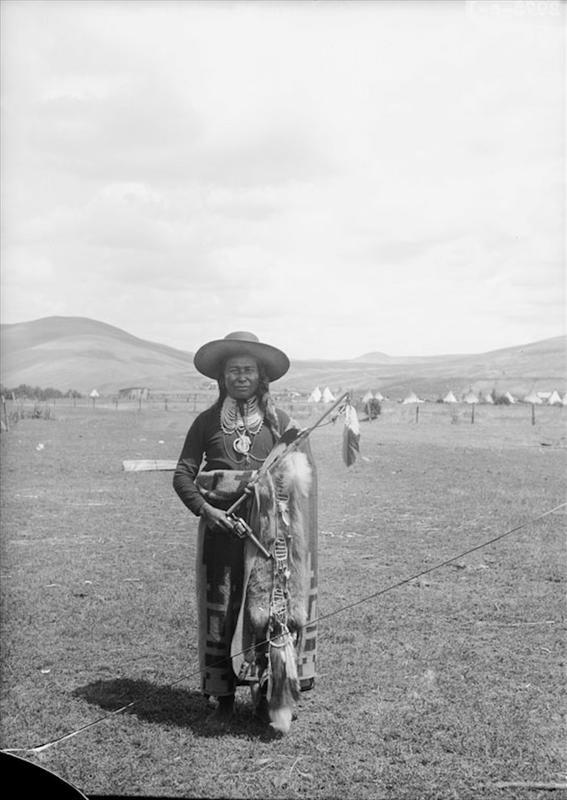 Most Native American tribes of the Great Plains were nomadic in nature and roamed the open land, setting up camps wherever they found a suitable place. The barbed wire fencing limited their movements and took away much of the open lands that the Native Americas called home. The nomadic way of life that these cultures enjoyed for thousands of years was over, thanks to barbed wire. 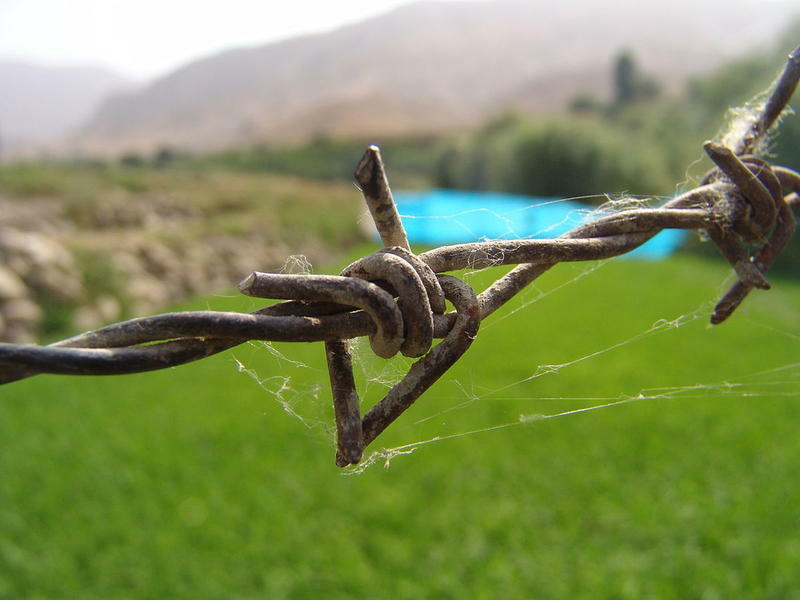 In fact, many Native Americans referred to barbed wire as the Devil’s Rope. The importance of barbed wire to the settling of the American West cannot be overstated. The simple but effective fencing material forever changed the lifestyle of cowboys, ranchers, and Native Americans.